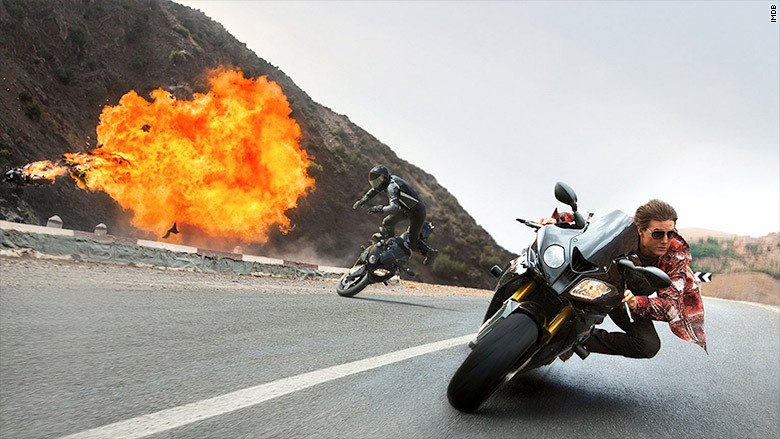 "Mission: Impossible - Rogue Nation" opened to an estimated $56 million at the U.S. box office over the weekend. This total was the second-best "Mission: Impossible" opening ever, just missing out on the $57.8 million of 2000's "Mission: Impossible II." 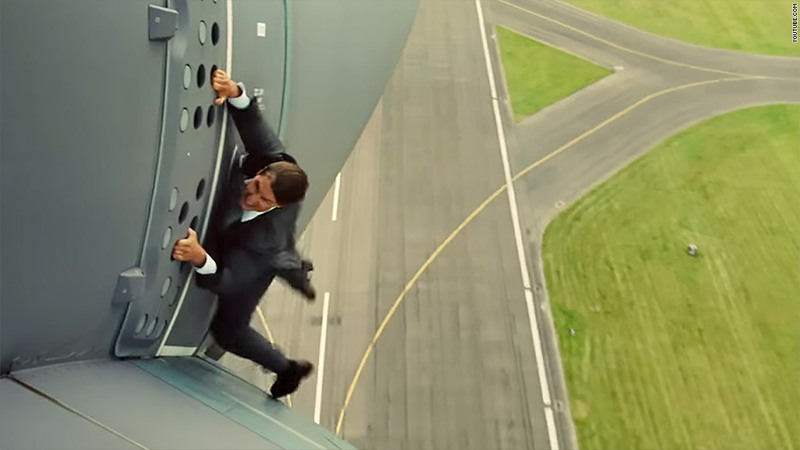 The Paramount film starring Tom Cruise was good enough to nab the third-best U.S. opening of the star's career, coming in behind "Mission: Impossible II" and 2005's "War of the Worlds." The spy thriller was also a hit internationally. It made $65 million abroad to bring its global total to $121 million. A good start for a film that cost Paramount $150 million. "Tom Cruise is the very definition of movie star, but beyond that he is a tireless marketing machine," said Paul Dergarabedian, a box office analyst for Rentrak (RENT). "He has essentially written the playbook on how to manifest the perfect combination of star-power based publicity along with producer-based business acumen." Coming in at a distant second was Warner Bros.'s "Vacation" which earned $14.8 million between Friday and Sunday. The comedy starring Ed Helms is the fifth installment of the "Vacation" franchise. Since opening on Wednesday, it has made $21.1 million for Warner Bros. (which, like CNN, is owned by Time Warner (TWX)). Two big films about small characters, Universal's "Minions" and Marvel's "Ant-Man," battled it out for third place. The $12.6 million of "Ant-Man" just edged out the $12.1 million of "Minions." And to round out the top five was Sony's "Pixels" with $10.4 million. Box office sales for the Adam Sandler comedy dropped 57% from last week when it took second place. As the summer box office season nears its end with next week's "Fantastic Four," Hollywood has a lot to be happy about. The 2015 summer box office is up 12.5% overall from last year.